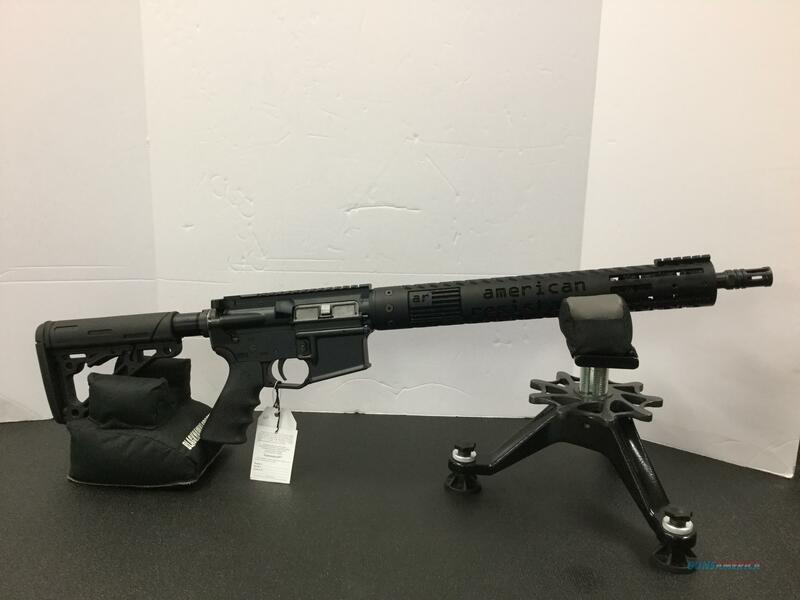 Description: Up for your consideration is a Brand New American Resistance Ar-15. Manufactured in Texas this Ar is all custom manufactured. Featuring a full aluminum upper and lower receiver. Fully laser etched fore end with American Resistance Logo as well as "The American Dream Isn't Money It's Liberty. This gun is Semi-Auto but features a Nickle Boron Full Auto bolt carrier, Mid Length gas system with Adjustable gas block. All combined with an 18in 1/7 twist chrome lined barrel.